Lawrence of Arabia | ZigZorg! Four days ago I watched Lawrence of Arabia as a 30 year old adult. I watched it with new understanding of life and interest in the subject matter. I also watched prepared for a long duration, intermissions, and long shots. I lowered my expectations to virtually none: It’s probably going to be a slow and okay drama with some impressive imagery. And after four hours, my expectations were met, which thoroughly disappointed me. Yes, it was good at conveying the human condition with much of its paradoxes, but I didn’t leave blown away by spectacle, pace, theme, or story. The music was memorable but only in its two main themes, which were repeated again and again and again. And probably once more. And the acting was great, but dated. Do I respect the film? Without a doubt. Was there value in watching the film? As a filmmaker, unquestionably. Would I rewatch it? No. I might re-read the script though, for I’m confident that the script is only 120 pages–which normally translates to 2 hours–but the pace and indulgence, dragged it longer. Was the cinematography amazing? Absolutely, save for some day-for-night shots which confused me. Mostly everything else was practical on set masterful photography. Unfortunately, whenever you watch a 4 hour film, you’re forced to ask yourself: Is this worth 4 hours of screen time? Even when a comedy hits 2 hours, many believe it should have ended 30 minutes ago (25% ago). So when you get a hyped up film with a run time of 3 hr 48m, any pause in the film forces you to ask that question. As a filmmaker you start to wonder what the structure of the film might look like? As best I can understand it, it was two films. The first half had a clear goal with a mediocre conclusion. The second half was a vaguely-compelling meandering open-ended series of events with a sudden conclusion. So sudden and unexpected that I had popped a caffeine pill right before the last scene expecting much much more. Lawrence is a well-educated military officer with a fetish for history and culture, especially of Arabia. He gets reassigned from his post in Cairo to a position in Arabia (Iraq?) to serve Prince Faisal as a liaison. He then wins the respect of the natives, by apparently shedding his loyalty to his birth nation and adopting their culture, and eventually unites warring tribes in an effort to over-take Aqaba (on the southern-most part of the modern-day Israel/Jordan border) via land where they least expect an invasion because it requires crossing the desert in 20+ days (about as long as it takes for the camels to start dying). The “break into act 2” occurs when he first meets Prince Faisal, proposes the idea to him, and goes against his military orders and takes 50 of his men to go on the journey. The next hour or more is about him running into obstacle after obstacle and meeting and uniting a warring tribe on their journey (they meet the tribe after crossing the desert alive: they meet at Wadi Rum, modern-day Jordan, between Israel and Saudi Arabia, 37 miles from Aqaba). Toward the end of the first half, they finish crossing the desert and successfully invade Aqaba (in about 2 minutes of screen time) where, upon searching for their rewards, everyone’s intentions for conquest get challenged. Lawrence continues on to Cairo to tell his generals that they’ve captured a fortress that is impossible to capture, promising the Arabs that he’d return with weapons and gold. Lawrence reaches the Suez canal (civilization) on camel where he hitches a ride to Cairo and makes his demands adding that he never wants to return to Arabia for it has destroyed him as a man. The final shots before the intermission are a teaser for the second half of Lawrence’s journey: Lawrence is convinced to return to Arabia, not because of military reasons, but because Lawrence wants to be remembered as the man who gave the Arabs Damascus (in modern day Syria). In summation: It’s Dances with Wolves, Avatar, Point Break, or Fast and Furious but with Brits and Arabs. An English scholar becomes a real man and a hero by befriending the natives by assimilating into their culture (though not religiously) and leading them against some common enemy to victory. They win by the end of the first half teaching everyone that nothing is written and that men are far more capable than they think they are. If it was polished correctly, this film could have been an entire film in itself with a clear and decisive ending. But as is, it felt like a proper ending to the half and then teased a sequel. Here’s a map of the major cities in Lawrence of Arabia. They started in Waidi Rum with Prince Faisal and his Bedouin people, then headed west to take Aqaba, an important port city. Then Lawrence headed west to the Suez canal, traversing ten times the distance we spent 90 minutes on, and then some more, via automobile, to get to Cairo. 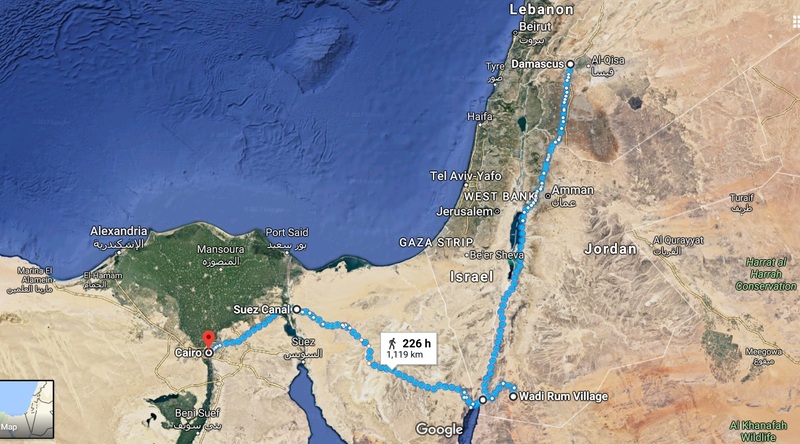 Then, in Part 2, he returned to Aqaba (probably by boat) and they marched north to Damascus. Route: (Damascus to Aqaba to) Waidi Rum to Aqaba to Suez Canal to Cairo. The parenthesis route was added to make the visual nicer even though the real one was Aqaba to Damascus. This map (http://digital.nls.uk/bartholomew/highlights/seven-pillars-wisdom/map.html) appears to show his path from Aqaba north, with divergent paths that converge on Damascus, which might be the armies he led and not exactly himself. It’s not limited to the movie scope either, so it may be later routes too. The second half was essentially a sequel or coda, like Star Wars Episode V but without an Episode VI. Whereas Episode IV A New Hope might have been the better story, Episode V was the sequel with a lot of meandering setups and loose ends with no clear goals or direction, and then it ended. Lawrence Part 2 was like Episode V.
Part 2 saw Lawrence now actively trying to be the hero and legend he wanted to become while grappling with the drama of the first half, where he was forced to kill a man he saved and saw one of his two servants die in quick sand. If it wasn’t pointed out by a video essay I incidentally watched years ago, I would not have noticed that this is where the theme of identity was played out. The second half followed Lawrence’s journey north with his Arab followers on a conquest of the Turks on a war path to Damascus. And we saw him become more and more barbaric and blood thirsty. People around him watched as the hero they adored was humanized. And his boldness had consequences, getting him caught, tortured and raped before being released. But in the end he made it to Damascus with the Arabs before the British armies and therefore, the Arabs had a word at the negotiation table. The film ends with the Arab tribes struggling to unite and Lawrence trying to write terms for a new Arab nation independent of British rule but allied to them. The final scene is a meeting with Prince Faisal and the British military leaders (with Lawrence) in Cairo where the British give Prince Faisal control, but lie that the British and French haven’t signed an agreement to split up the Arab land after victory. The final shot is Lawrence leaving the head quarters on a truck to London when a motorcycle passes them, reminding us of the opening sequence where Lawrence is riding on a motorcycle and dies. I couldn’t find a time code for intermission with a simple Google search, but I found this forum post regarding splicing the reels together: http://www.film-tech.com/ubb/f1/t001540.html . Apparently, the film comes in 13 reels. At the end of reel 8 is the intermission walk out music. The beginning of reel 9 is the intermission return music. So assuming all reels are the same length, then the intermission is 9/13 through the film or 69% of the film. However, reel 13 could be much shorter. If the reel is almost empty, intermission would be about 9/12 of the film or 75% of the duration. So Part 1 is 69-75% of the film. Assume 70%, NOT the expected 50%.